CD temporarily OUT OF STOCK! WE'RE TRYING TO GET SOME BACK FROM OUR EUROPEAN DISTRIBUTORS! STAY TUNED! With over half a century of hard roots-rabbling between them, Rosie Flores—the Rockabilly Filly, and Jon Langford—head Mekon, Waco Brother and conductor of the Chicago-based collective the Pine Valley Cosmonauts, blast a sonic contrail stretching from Texas to Wales, from the dusty hill country to the dusky fetter cairns (that's an obscure British Isles reference, sorry about that). These two long-celebrated musical forces, one with her cowboy boots firmly in the dance halls and the other with his work boots sloshing around puddles of beer in the pubs, come together for Girl of the Century, an album of spirited and soulful romps through the back roads of American music. Recorded live-in-the-studio hot with the Cosmos, Girl of the Century crackles with effusive energy and references a wealth of influences and source material. Anchored by the crack rhythm section of Tom Ray (Neko Case, Devil in a Woodpile) on bass and Joe Camarillo (Waco Brothers, Dollar Store) on drums, the Cosmos find a groove and lock it in, be it the suave blues of Memphis Minnie's “Chauffeur,” the Bob Wills smooth swing of the Paul Burch tune “Little Bells” or the wild R&B with a rockabilly flair of Ruth Brown's “This Little Girls Gone Rockin’.” Throughout, Pat Brennan’s stone-cold honky-tonk piano and John Rice’s count-in fiddle keep the boots firmly on the rail. This album is a gas, friends. We're ever so happy to bring these two super cool artists together. An eclectic collection of classic twang, smoldering torch songs and goofy novelties ... Whether the tunes are fast or slow, rock or twangy, heartfelt or silly, Flores endows them with a fiery intensity. This musician, once a rockabilly she-devil in the Screaming Sirens during the mid-‘80s, has circled the stylistic globe and continues to cause constant surprise among her legion of fans. 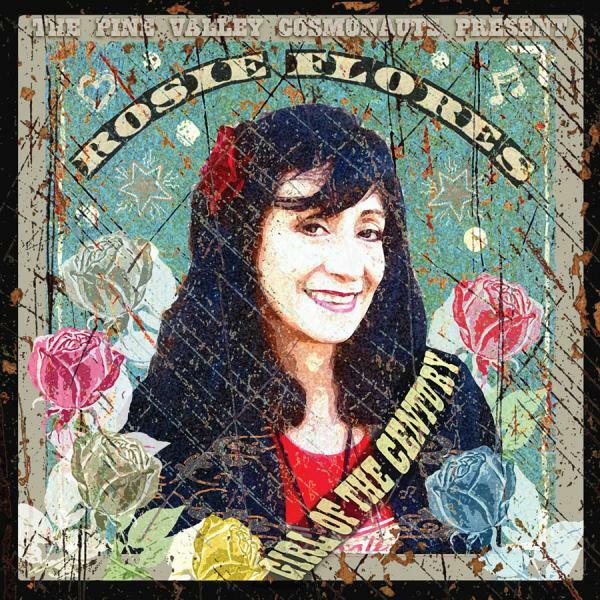 Rosie Flores has a way of mixing up genres and confounding expectations like few others, and Girl Of The Century is yet another deep notch in her guitar, and a mighty fine one at that. 10. Who's Gonna Take Your Garbarge Out?